A trip to the diocesan museum of Santo Stefano al Ponte: here are preserved drawings and models of the clothes of dozens of religious orders. A rare collection, including tailored tunics and vibes. The underpants are missing, immoral until the end of the seventeenth century. Sixty-two pretzels of pret- & agrave; -porter for a 'male ecclesiastical fashion show'. A rare and very special collection of monastic dresses belonging to various religious orders and different eras. We are talking about watercolors on paper that date back to the first half-century; of the eighteenth century. We observe and make ourselves a culture. The Friar Preachers wore the white dress. The Augustinians the black woolen cassock. The Carmelites are a curious striped hood with stripes of various colors. For the Servants of Mary, black cassock, leather belt, hood and hood. Undergarments deserve a separate chapter. The inner petticoat could be made of rough goat hair, like a sort of hair shirt. The underpants will be considered immoral until the end of the seventeenth century. It is unknown if the author was a monk or a real painter, however he is an artist who had many qualities. of miniaturist and portraitist. 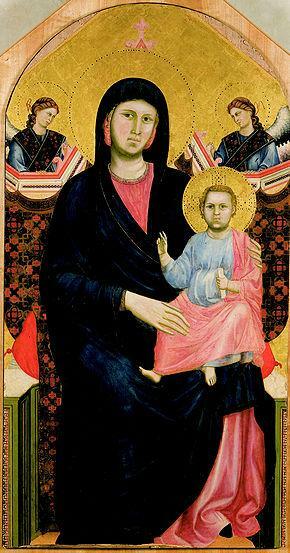 It is certainly known that the collection belonged to the Benedictine monastery of the Florentine Abbey and moved to the Diocesan Museum of Santo Stefano al Ponte in 1995, a church where they are still kept. Together with other treasures transferred from abandoned churches or at risk thefts. Today a part of the watercolors (32 models) is exposed at the base of the bell tower in the midst of precious masterpieces of sacred art. It would be - says Don Sergio Pacciani - of a sort of handbook used by the tailor who made clothes. A catalog in short. The models would not have been used only to document the various religious orders. It seems that among the various categories of artisans who had a shop in the Badia, the Tailors had formed a real company that met inside the famous Pandolfini chapel. 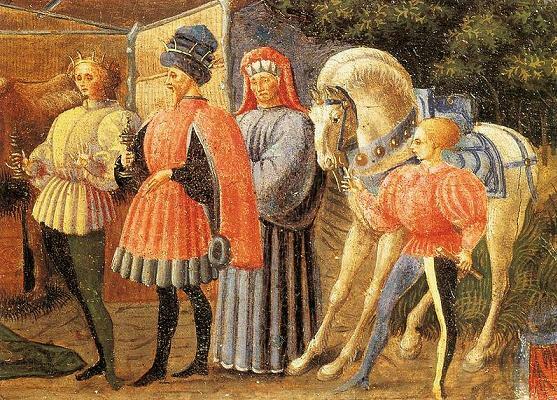 Perhaps it is precisely the Compagnia di Sant'Omobono dei Sarti. To substantiate this reading, one of the 62 figures is devoid of a monk, there is; represented only the dress studied in detail. The dress does not make the priest. But this time it seems yes, at least in the title of the book by Mercanti and Straffi published in '96, When the dress was a monk . which tells the unique story of the 62 watercolors. Diocesan Museum of Santo Stefano al Ponte is located in the heart of the historic center, a stone's throw from Ponte Vecchio, yet the delightful little square, a little gem that remains outside the standard tourism circuits, an unexpected oasis in the chaos. The church, which dates back to 1116, is only open for concerts of the Archiepiscopal Curia. With a single nave, it has a spectacular presbytery, almost a theatrical backdrop. And under a splendid crypt. In the diocesan museum are also exhibited various valuable paintings. Giotto's table, from the church of San Giorgio alla Costa; the predella of Quarate by Paolo Uccello, San Giuliano di Masolino, and a triptych by Filippo Lippi depicting Christ in piety. The entrance is free. But attention it's open only on Friday afternoons.